ESTGames, the publisher and developers behind the classic hack n’ slash MMORPG “Cabal Online” has recently brought over a not-so-new MORPG to the F2P market. The name of this MORPG was recently known as “Howling Sword” in South Korea. With bright visuals, anime inspired characters and an arcade style approach, Howling Sword provided a more authentic hack n’ slash experience. Unfortunately, Howling Sword was not very well received in South Korea, and was then taken offline within a few short years. After some re-structuring, ESTGames decided to give Howling Sword another shot for US and EU territories, but with a new name: HeroesGo. 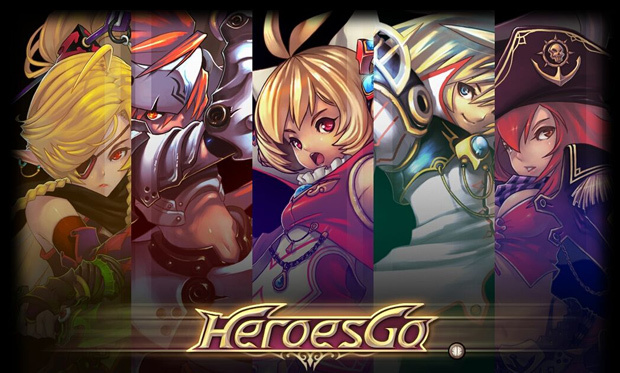 However, with so many MORPGs already offering similar gameplay, visuals and features, does HeroesGo deserve a second chance? The controls for HeroesGo are very simple and easy to grasp. By default: Z, X and C are used to dash, attack and jump, respectively, while the ASDFG and QWERT keys are used for activating skills in battle. The keyboard commands are fairly responsive. Just make sure that the skills you’ll be using the most are rearranged appropriately. 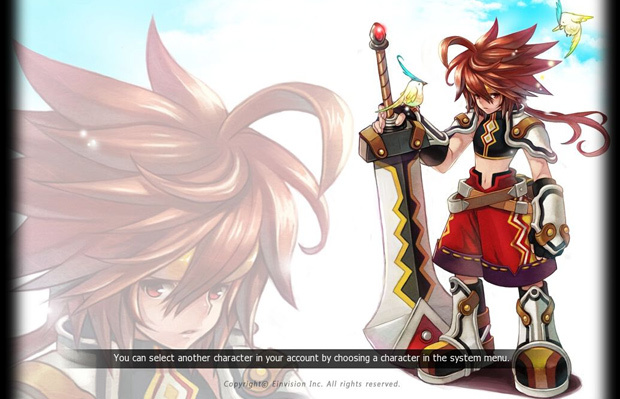 Gamepad support is surprisingly absent, which is disappointing considering that other MORPGs (such as Elsword or Dungeon Fighter Online) equip players with tons of active skills, all of which are possible on gamepads with simple directional inputs and combo sequences. While the official website mentions that gamepad support will be included later on, why this same exact kind of control system isn’t available for HeroesGo, FROM the get-go, is baffling. While HeroesGo takes full advantage of being able to battle in a full 3D space, the overall combat in HeroesGo lacks polish. Performing just about any kind of attack or active skill comes with stiff animations, most of which cannot be cancelled. The only moves that can be cancelled out are basic attacks using active skills or dashes. Compared to a handful of other action MORPGs, the stiff combat also fails to give HeroesGo a steady pacing. Equipment stats play far too much of an important role in HeroesGo. Unlike some MORPGs where good equipment will make the player more efficient in battle rather than better, having proper equipment becomes necessary later on when dealing with stronger enemies. Having to worry about stats such as “attack accuracy” will become the bane of any breaker or blader user. Even if an attack makes direct and visible contact on an enemy, it’s still very possible that the attack will miss, simply because a random number statistic on your equipment says so. There’s also a stat that affects your attack speed, and you’re going to need a fair amount when dealing with the later bosses. PvE in HeroesGo is all about overwhelming odds. 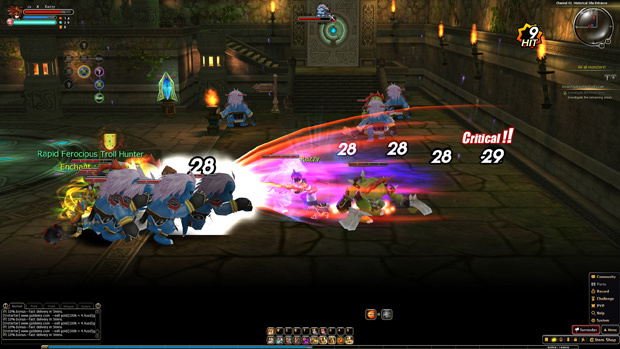 When players go out to explore the game’s many different dungeons, they will be pitted against hordes of enemies, most of which will always attempt to attack players directly. There’s an awkward sense of difficulty after the first few dungeons: Since mob enemies can inflict heavy amounts of damage, most will end up playing very cautiously. While it may seem hard at first, enemy attack patterns are obvious, and avoiding their attacks using the dash skill is fairly easy as long as you’re not getting caught in the middle of a massive pile up. The easiest way to handle mobs in HeroesGo would be to jump into the fray, throw out your strongest attacks and do your best not to get surrounded. If you’re playing as a ranged character like the gunslinger or the mage, staying out of harm’s way is even easier. If the player can keep all this in mind, battling against mobs won’t be as difficult as it seems. Rather, it will just be very tedious. The real challenge for battling mobs in HeroesGo comes from having to deal with them alongside traps and stage hazards, including fire pits, laser barriers, wrecking balls and more. While it certainly makes battles more engaging, they also come off as a cheap way to make battles more dangerous. With rooms where tons of traps are being set off at any given moment, there will be moments where HeroesGo will feel unreasonably difficult. Boss battles, on the other hand, are all over the place when it comes to difficulty. Some bosses have very quick attacks and tells that are hard to read, some bosses have very easy tells but have attacks with large hitboxes that can’t be interrupted and are hard to dodge, and other bosses are so massive that players can simply dwindle them down by staying close to them while chipping away at their health. Simply put: The challenge and difficulty of PvE in HeroesGo is very inconsistent, and it doesn’t seem to find a balance later on. The game also features player vs. player modes in either solo or team battles with up to eight players. Unfortunately, PvP isn’t a very popular activity in HereosGo, as the game suffers from huge latency issues. PvP combat is also gear-based, so players with that are full equipped will have a fairly noticeable advantage over those that aren’t packing heat. Starting up your first character in HeroesGo comes with very limited options. There are only four different classes that players can choose from, and each one is gender-locked. While gender-locking is something I usually do not favor, each character plays an individual and unique role within the game’s major storyline, so I was willing to let it slide. The four available classes range from two close-quarters combatants and two long range support types: Breaker, Blader, Gunslinger and Mage. Each class has one of two subclasses that can be unlocked later on, which gives players access to more diverse play styles. Initial character customization is also limited with only six options to choose from between hair styles, shirts, gloves and shoes, so players can expect to run into clones of themselves well within seconds upon entering the starting town. Equipment customization works very similar to other MMORPGs: Players can upgrade their weapons and equipment by using Ether stones. These stones are obtained by sacrificing old weapons and equipment. However, like many MMOs of old, attempting to upgrade your equipment comes with a risk. If you attempt to upgrade your equipment without using an item called “Ether powder”, there’s a chance that your item could possibly be destroyed. Even more so, the game flat out tells players that if they want get some of this special powder, they’ll have to hop along over to the game’s item shop (which is currently unavailable during Open Beta) to get some. Certainly, this is not a very pretty sign to hold up. While I’m certain that not all ether stones will be obtainable from the future item shop, upgrade systems such as this tend to inform the player just how important your character’s equipment will be compared to your skills. I’ve said this several times before, but skill in HeroesGo can only get a player so far when stats are involved. HeroesGo comes with a visual presentation that’s easy on the eyes, with bright and soft visuals, mixed together with cartoon and anime aesthetics. 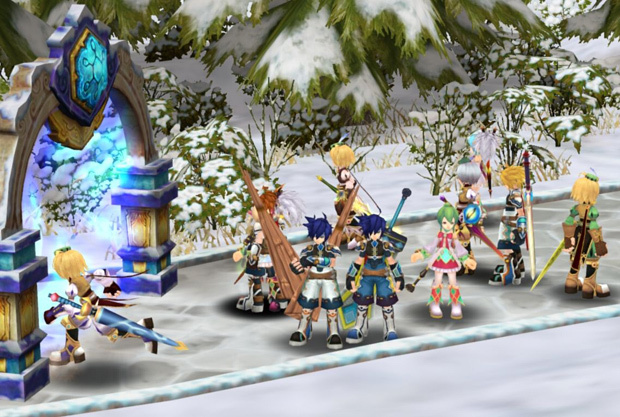 The characters themselves have fairly detailed textures and somewhat unique outfits that could remind some players of other popular RPGs. Looks sort of like a cross between Sora and Cloud Strife, don’t you think? While the town NPCs have their own English voice overs (which aren’t too bad, but not too good, either), the main characters still have their original Korean voices whenever they shout out their skills in battles. While this may or may not be a good thing to some people, the sounds of enemy NPCs getting hit and defeated will be sure to wear on a few nerves. The music is fairly appropriate, with lighthearted and ominous tones for adventuring, but nothing special to write home about. HeroesGo includes standard online game features including friends list, in-game mailing and guilds. Not much else can be said about community options, and not much can be said about the game’s community in general. From the start, trying to find a group to party up can be tough, as many players have already moved onto the next set of dungeons, but when you do find a group, they’re generally casual and friendly enough to share in the pain and pleasure of dungeon crawling. HeroesGo manages to provide an average hack n’ slash MORPG experience, but does not offer much else in terms of distinct gameplay or features. The lack of polished gameplay also pales in comparison to several other MORPGs already available. While I firmly believe that new games do not have to reinvent the wheel in order to be enjoyable, it certainly does not help when your game makes very little attempts to stand out among the crowd. It’s not a bad game in particular, but there are far better alternatives available. 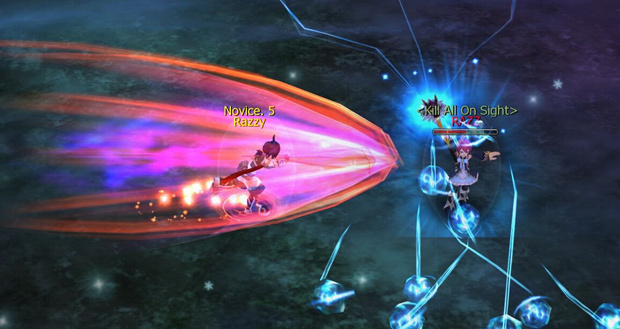 Nexon has reopened Mabinogi's servers after their unexpected 40-hour downtime, due to a security breach in-game.